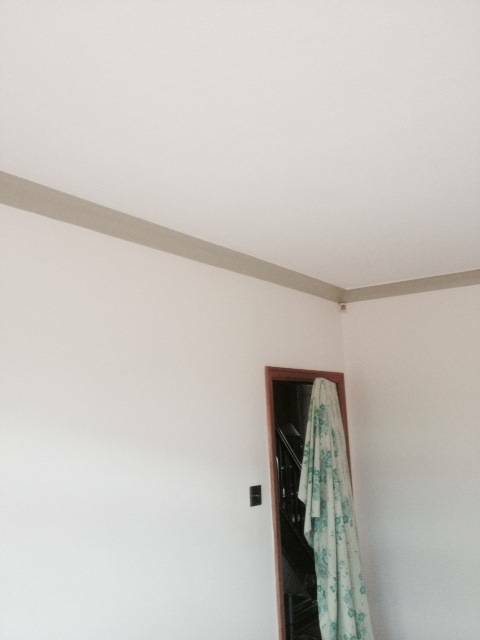 Painting and decorating BY TF Building and Renovations. 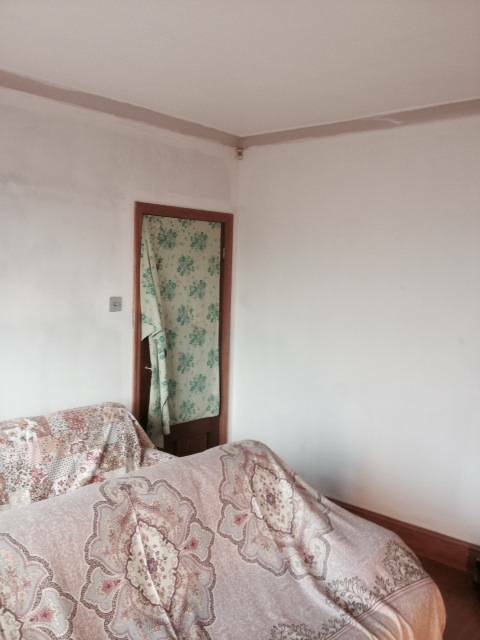 This is a room we plastered recently, We was asked back to do the painting and decorating. 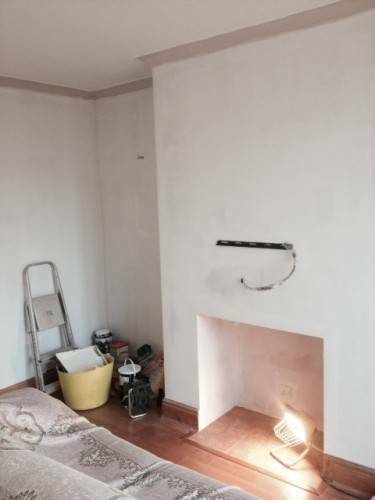 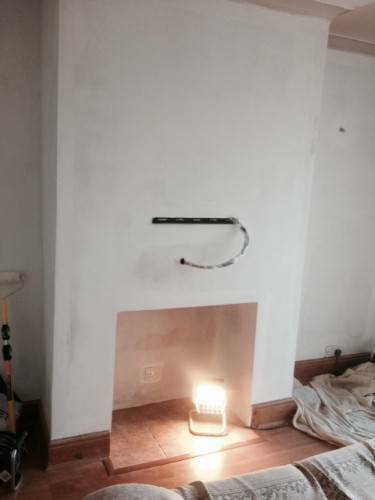 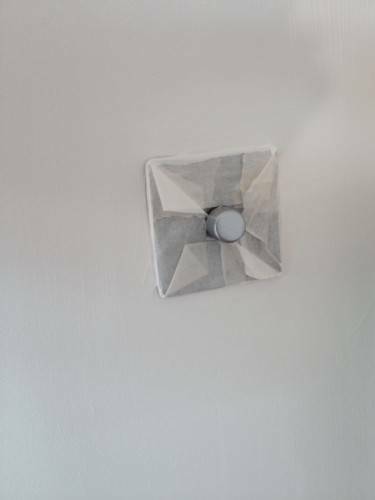 When painting on to fresh plaster it is essential to apply a good base coat, the fresh plaster will soak up the first coat of paint. Minimal prep work to the plaster was needed, we had made sure it was skimmed smooth ready for painting. The walls had 3 good coats starting with a white base layer. 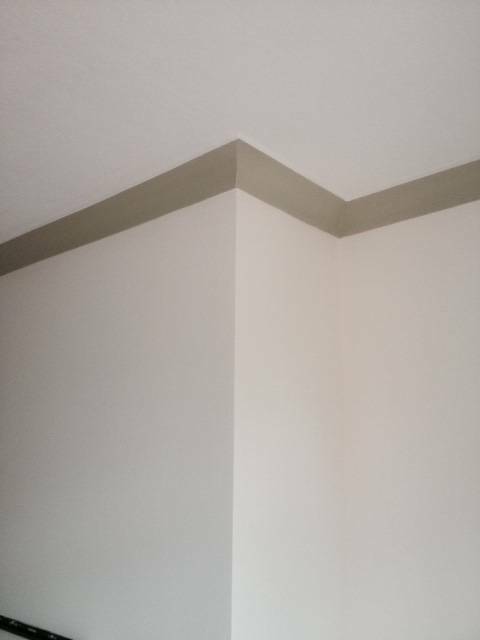 A medium pile roller was used for a textured finish once all the cutting in was done. The ceiling was painted white to keep the room nice and bright. 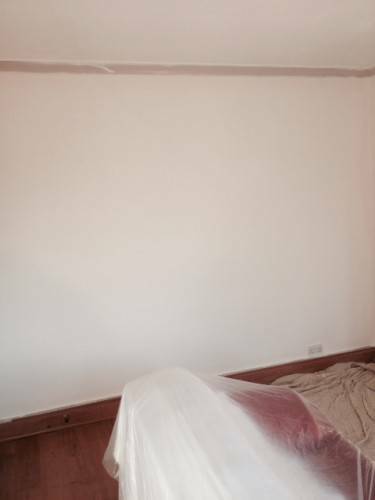 furniture that we could not remove from the room is covered up to make sure there was no spillage of paint. 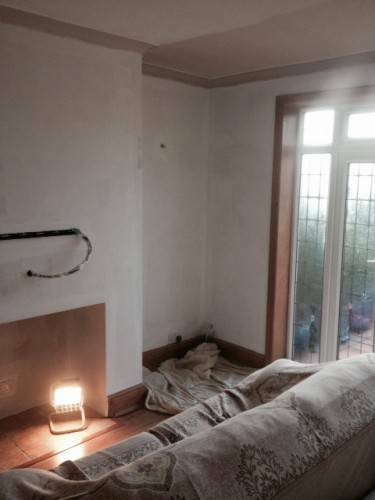 All the wood work was masked up to ensure a clean finish. A thin bead of decorators chalk was used around the wood work to seal the paint but not enough to make it noticeable on the waxed wood. 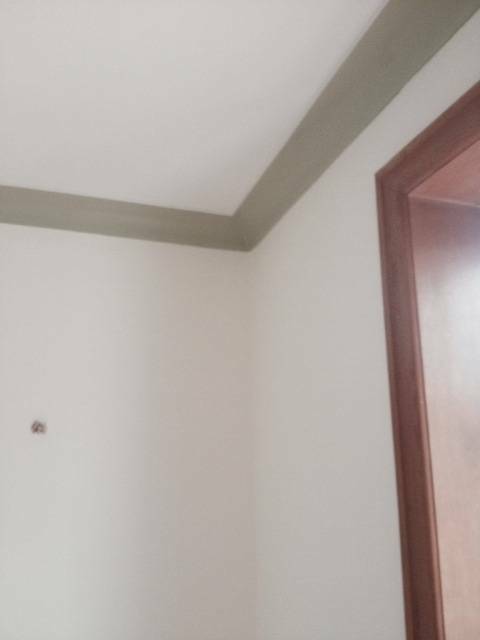 Low tack masking tape and a steady hand was used to gets perfect straight green contrast on the coving. TF Building and renovations are a painting and decorating specialist based in a and around the skipton area. 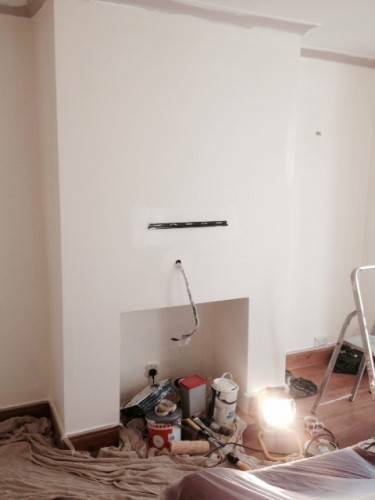 Give our office a call on 01756798751 or 07985711011 for a free estimate and consultation of the work. 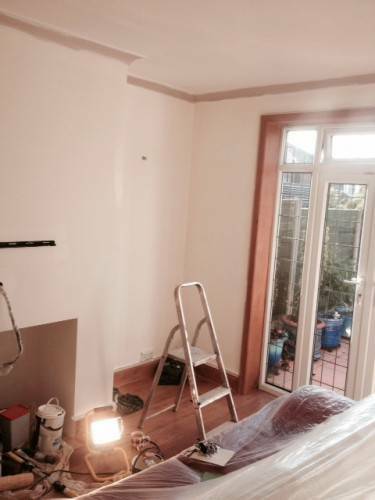 Take a look at our painting and decorating page and recent work.